“People said I should have been. I was like, ‘Alright. I’m not gonna say that,’” he adds while enjoying his angus burger and salad at Silk City, the diner/lounge where he hosts his Electric Soul party. His reaction is markedly different than Cash Money’s, Philly’s first DMC World DJ Champion (1988) and co-perfector of the iconic ‘transformer scratch’ unique to hip hop DJs, who publicly expressed his anger over being left off of the original Philly DJ Day proclamation. Cash Money was also upset that the document failed to mention a whole host of other pioneering DJs. Statik, the hip hop/house/electronic DJ (also known as Mr. Sonny James) agrees that as “one of the most important veterans,” Cash Money’s name should have made the original proclamation but he doesn’t make the case for himself to be included. But who needs accolades when you have the respect of your peers? Statik, born James Peterson, says the camaraderie among Philly DJs is like the cliché: Real recognize real. 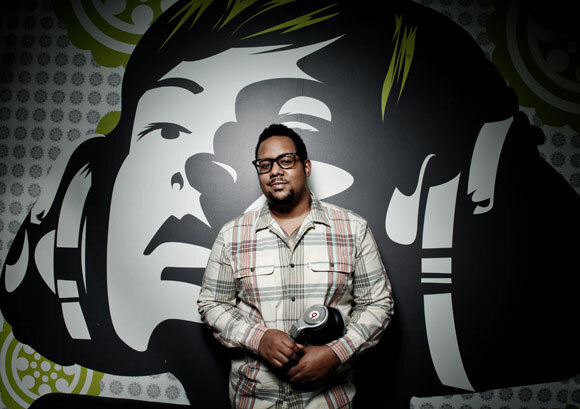 The ‘us’ he speaks of is the prolific Philadelphia DJ/production crew, Illvibe Collective, that he co-founded in 2001. The purveyors of the long-running quarterly party, BODYROCK, are currently working on an EP to follow up their most recent album, “All Together Now.” The six members also have their own projects and work. Maintaining the Illvibe, Statik and Sonny James brands’ synonymity with quality has nurtured their positive reputation and garnered relationships. Over his nearly two-decade long career, the South Philly native has spun at clubs and major festivals on every continent, except for Asia (and probably Antarctica); has DJed for artists; holds DJ residencies at the Walnut Room and the Heineken Green Room and still DJs all over Philly; and has produced for rappers, including Hezekiah and Bahamadia, and the Illvibe Collective. “The most important benefit to me is that the people that I respect call me. People like Rich Medina and people who have been heroes to me before I did this professionally actually call me and say, ‘When are we working?’ To me, that’s truly important cause I’ve earned that,” says Statik. The DIY method is part and parcel of Matthew Fishman “DJ PHSH” Dickerson’s hustle. Case in point: He was recently in Germany on a countrywide tour because DJ San Gabriel invited him to spin. Recognizing that he is not at the place in his DJ career yet where people will fly him out for shows, he bought his own ticket and had an unbelievable experience. “If I can get it done faster, I’m going to do it,” he says, actually speaking about his graphic design work (he designs many of his event posters, flyers, etc. that oftentimes bear his likeness). But this attitude is definitely applicable to all areas of his career. 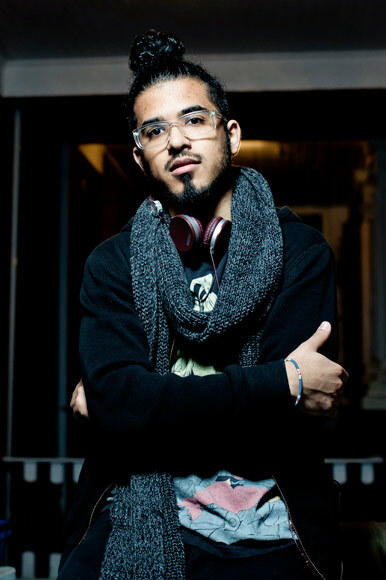 As the 23-year-old West Philly native munches on pumpkin cheesecake and sips his vanilla-peppermint tea at South Street’s Bean Cafe, he shares that he has been working on proposals to get liquor and equipment companies to sponsor his brand, the unglamorous administrative side of his DJ work. He learned how to write proposals over time because he felt compelled to know how to do it. This doesn’t mean he shuns help. An older friend is guiding him through the logistics of his business. And PHSH is willing to take advice from the DJs that paved the way before him. He considers Rich Medina, DJ Statik, King Britt, and DJ Brother Jamar to be some of his mentors and says they treat him like a peer and give him advice unrelated to his age. Now he’s a member of the Illvibe Collective but admits he initially demurred when Illvibe first asked him to join their crew because it was pre-Superdope and he didn’t feel he was bringing enough to the table. PHSH, who spins every genre of music but is rooted in hip hop, has spun at pretty much every venue in Philadelphia; has opened up for artists at shows in New York, Philly and elsewhere; is the DJ for rapper Gilbert Forte, who he has gone on a country-wide tour with, and used to DJ for Philly’s Money Making Jam Boys; he also produces and has a mixtape coming out. Philadelphia’s contributions to the artistry of DJing have been monumental. Disco records were essential tools for the hip hop DJ because the burgeoning hip hop scene in the ’70s did not have its own music at the time. According to the book, Last Night a DJ Saved My Life, many music historians agree that disco’s roots are in Philly. Many consider the classic hit “Love is the Message” by MFSB from the Philadelphia International label to be a glittery disco lodestar for the disco movement but most associate Philadelphia’s unique disco sound with Gamble and Huff. The ‘transformer scratch’, used by hip hop turntablists elevated the art of DJing and came out of Philly as well. First practiced by the original DJ Spinbad and perfected by Jazzy Jeff and Cash Money, the scratch move used the manipulation of mixers’ crossfader switch to give the DJ the ability to more precisely control sounds, turning the turntable into an instrument. Even now there are DJs in Philadelphia whose work is inspired by that same pioneering spirit. For about a year, DJ Corey Duncan, singer/musician/songwriter of the solo orchestral-indie pop project Oh! Pears, has been the DJ for Johnny Brenda’s Hot Jazz Brunch at which he plays ’30s and ’40s pop and jazz records. Whenever he spins he dresses the part, in a suit, tie and vest, to impress upon people that he’s serious about this musical period. He says he would want to eventually expand to playing other genres like ’60s soul and psych-rock but for now he feels it is his duty to introduce people to this music, which he feels is unappreciated. He hopes to branch out and maybe get the opportunity to spin these records in a place like the swank bar Franklin Mortgage and Investment Co.; he feels like the music would fit well with the vibe of the place. Fun fact about the origins of DJing: The sound system, deejays (toasters) and selectors (DJs) came out of 1950s Jamaica. Avid lovers of the ska and many sub-genres of reggae that came out of that time, Dana “DJ Version Girl” Bitetti and Jill “DJ CarryUs” Mowry may be a speech language pathology PhD candidate and an analyst, respectively, by day but at night they are the Philly Reggae Girls. Bitetti’s husband and Mowry’s ex-husband were in a ska band and the ladies bonded over their love of reggae. Bitetti recalls being inspired by reggae DJ Queen Majesty of New York and feeling like there’s no reason why there shouldn’t be female reggae DJs in Philly. They even know how to use their own equipment. “Surprisingly. And [we can] deal with technical difficulties,” quips Mowry. There is a understanding that Philadelphians are critical and not easy to win over. Perhaps it’s like the tough love one doles out to family members. This attitude definitely affects the DJ community. The veterans that Statik cites – the original Spinbad, Jazzy Jeff, Lightning Rich, Vikter Duplaix, etc. – have left an incredible legacy that sets a standard to be matched or exceeded. And with so much DJ talent just sitting on their doorsteps (while at Silk City, Statik mentions that the internationally known King Britt lives around the corner and catches the trolley), Philadelphians may be spoiled by the DJs available to them and taking them for granted, as Statik seems to fear.